His Holiness the Dalai Lama's Web site has several articles that share his remarks as he's taken part in the Seeds of Compassion conference in Seattle. I hope you will take a few minutes to check them out. It's hard to stop what I'm doing and focus but I find that spending a few minutes with words like this creates a calm inside that gives the rest of the day more kindness and meaning. An enjoyable speaking event yesterday and a shout-out to the Goldsboro Rotary Club. It was great to meet everyone and I hope you will all pick up a copy of John Kennedy Toole's "A Confederacy of Dunces." My husband is reading it again and I plan to read it again once he's finished with the copy. 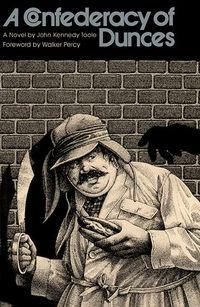 Just thinking about Ignatius J. Reilly, Jones and all the other characters makes me smile. It's a book that can take the sting out of a bad day ... or week. Its author believed it was a comic masterpiece, and he was right. More on Ken Toole this week.